Does setting up technology stress you out? Getting that shiny new MacBook, tablet, Microsoft Surface or Chromebook up and running efficiently and, most imporantly, securely? Perhaps your computer is sluggish, your printer refuses to communicate or a virus is wreaking havoc? You need prompt, friendly tech support. 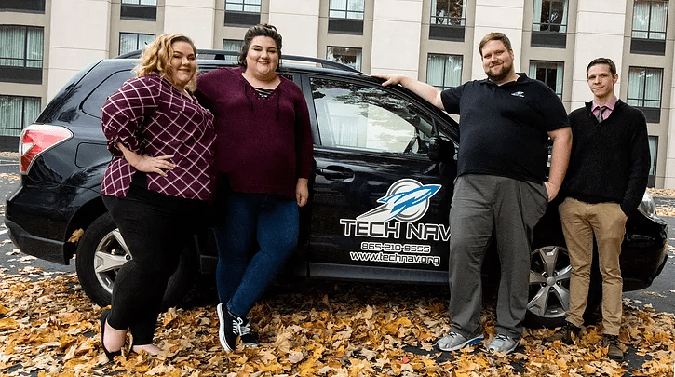 Tech Nav offers a mobile service that makes house calls and as of February 1, owners Charlie and Victory Harbin are expanding their services with a new store front at 1895 Louisville Road Alcoa. Tech Nav can fix it all: Macs, PCs, tablets, smartphones, printers and home networks. Tech Nav’s services have filled a much-needed niche. Charlie Harbin started fixing computers as a side job while he was in graduate school. Within three months, business exploded and his wife Victory quit her health care job to join Tech Nav full-time. For more information on TechNav, you may visit www.technav.org.